innovators start to raise their heads and throw the fledglings out of their nest. The provincial cuckoo fledglings are a dangerous attraction for the metropolitan taste longing for diversity. Now it is possible to speak about provincialism independently of geography, merely focusing on the topology of culture itself. A new indistinguishability between a province and a center can be observed today. RAPPAPORT, Alexander. On Provincialism. 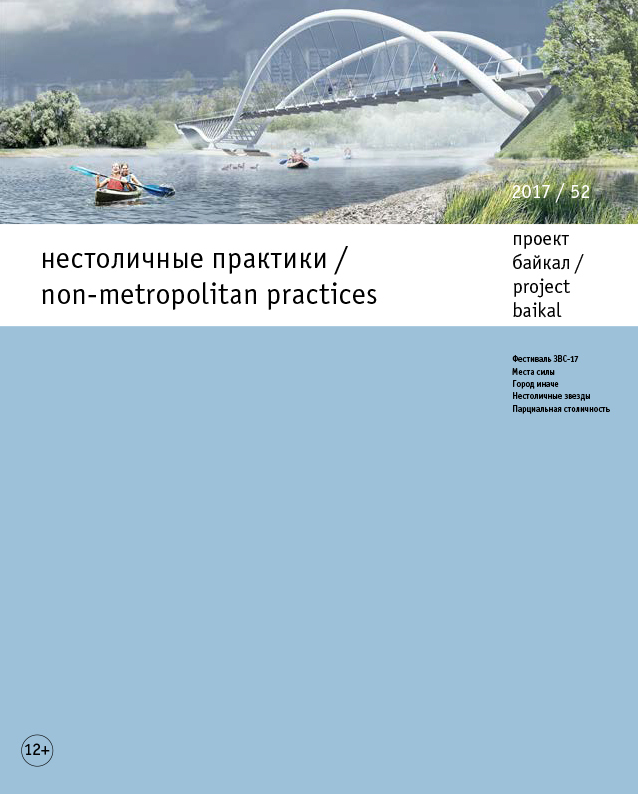 project baikal, Russian Federation, n. 52, p. 50-52, june 2017. ISSN 2309-3072. Available at: <http://projectbaikal.com/index.php/pb/article/view/1161>. Date accessed: 22 apr. 2019. doi: https://doi.org/10.7480/projectbaikal.52.1161.